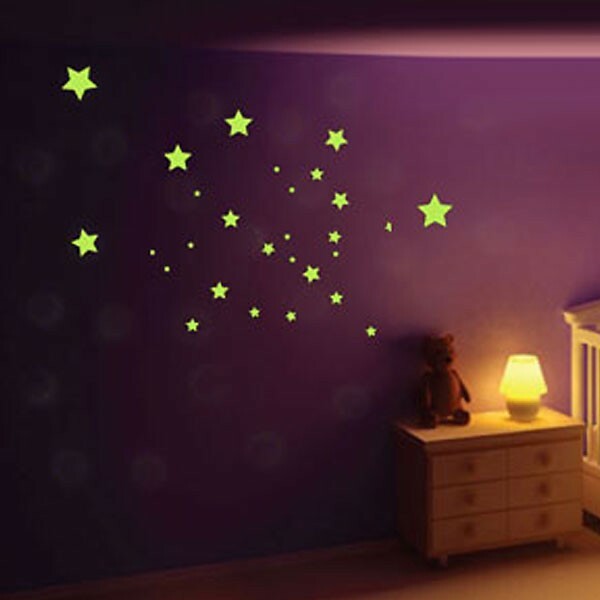 Make each night sparkle with the Glow in the Dark Star Mix Wall Stickers. Perfect for creating a constant starry sky indoors, this glow in the dark stars wall decor is a fabulous touch for any bedroom. Arrange these differently sized stars into your own constellations for a lovely accent in a children’s room for bedtime. Made of a high-quality matt vinyl, the Glow in the Dark Star Mix Wall Stickers are perfect for creating an star-filled sky every night.